Opening round of the season complete in Queensland. Honda Genuine Racing’s Justin Brayton delivered on debut with the team at Jimboomba X Stadium in the SX1 main event, taking victory and the points lead to open the 2016 Australian Supercross Championship. 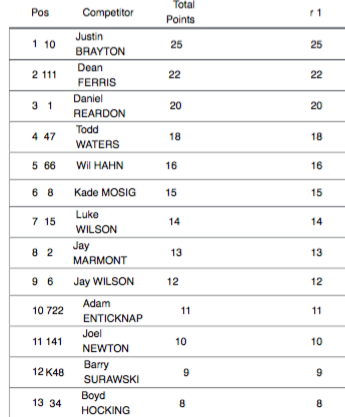 Brayton was pressured all the way by new MX Nationals champion Dean Ferris, the CDR Yamaha rider starring on his way to second and ahead of teammate, defending champion Dan Reardon. 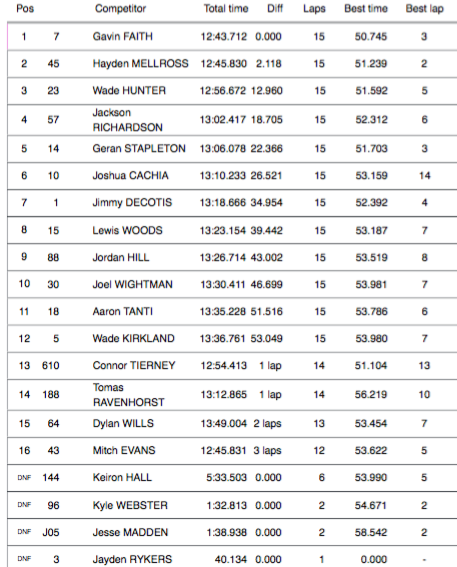 At the end of the 20-lap duration Brayton was 3.612s ahead of Ferris and 11.866s in front of Reardon, while the top five was filled by another former MXGP rider Todd Waters (Wilson Coolair Motul Suzuki) and another American in Wil Hahn. 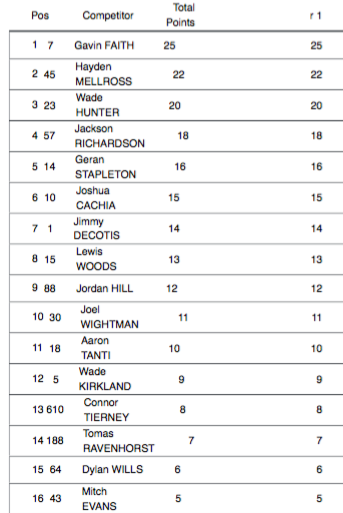 Behind Hahn for sixth was National Pump Monster Energy Kawasaki teammate Kade Mosig, with Luke Wilson a lap down, Marmont upon return, Jay Wilson and Enticknap completing the top 10. It was an unfortunate end to the night for Kyle Peters (KTM Motocross Racing Team), crashing out of the main. 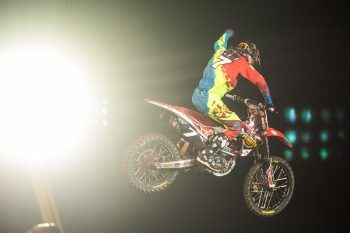 The opening SX2 main event of the season was won by Penrite Honda’s Gavin Faith, controlling the race from the front and signifying that he will be a true threat for the number one plate upon return to the class. Reigning US Arenacross champion Faith eventually won by 2.118s ahead of Hayden Mellross (DPH Motorsport Yamaha), with Serco Yamaha’s Wade Hunter getting the better of new teammate Jackson Richardson for the final spot on the podium. 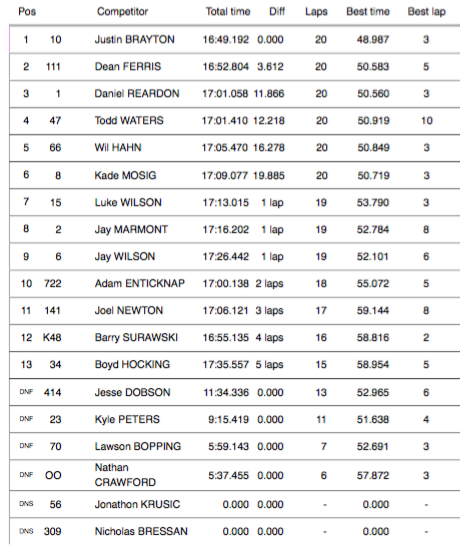 Hunter and Richardson worked their way forward to position in the 15-lap final, while returning duo Geran Stapleton (Honda) and Josh Cachia (Penrite Honda) were impressively fifth and sixth despite some initial confusion with the timing system. Defending champion Jimmy Decotis (Honda Genuine Racing) was seventh at race’s end, while the top 10 was completed by Woods, class newcomer Jordan Hill (Yamalube Yamaha) and Joel Wightman (CRF Honda Racing)Hill and Wightman. For further information on the Jimboomba opening round including practice, qualifying and the heat races, be sure to check out Racefeed on MotoOnline.com.au.